Visit Praia de Futuro and Aguas Belas Beach for some beach relaxation. You'll explore the less-touristy side of things at Cachaca Museum and Beira Mar Avenue. When in Fortaleza, make a side trip to see Choco Show Chocolateria in Maracanau, approximately 52 minutes away. There's still lots to do: browse the different shops at RioMar Fortaleza, kick back and relax at Iracema Beach, and pause for some serene contemplation at Church of Cristo Rei. To see photos, maps, other places to visit, and more tourist information, you can read our Fortaleza travel planner . Salvador to Fortaleza is an approximately 5-hour flight. You can also drive; or take a bus. In May, plan for daily highs up to 35°C, and evening lows to 28°C. On the 2nd (Sun), you're off toNatal. 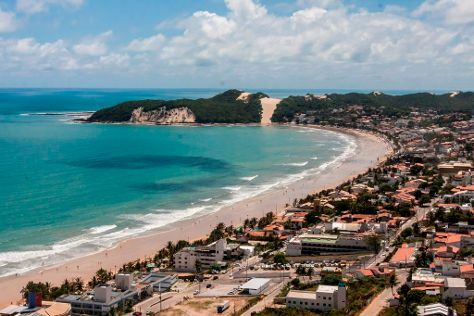 The promise of sun, sand, and surf generates plenty of tourism in Natal. Keep things going the next day: stop by Hand Craft Potiguar Mall, then don't miss a visit to Cajueiro de Pirangi, then enjoy the sand and surf at Ponta Negra Beach, and finally take in the architecture and atmosphere at Metropolitan Cathedral. To see traveler tips, other places to visit, reviews, and more tourist information, refer to the Natal trip planner . Traveling by flight from Fortaleza to Natal takes 3.5 hours. Alternatively, you can drive; or take a bus. Plan for little chillier nights when traveling from Fortaleza in June since evenings lows in Natal dip to 25°C. You will leave for Fortaleza on the 5th (Wed). For ratings, traveler tips, reviews, and other tourist information, use the Fortaleza trip itinerary website . You can fly from Natal to Fortaleza in 3.5 hours. Alternatively, you can drive; or take a bus. You will leave for Jericoacoara on the 5th (Wed). A charming coastal retreat known for its unspoiled natural landscape, laid-back atmosphere, and remote location, Jericoacoara offers plenty for visitors in search of a relaxing break in Brazil. 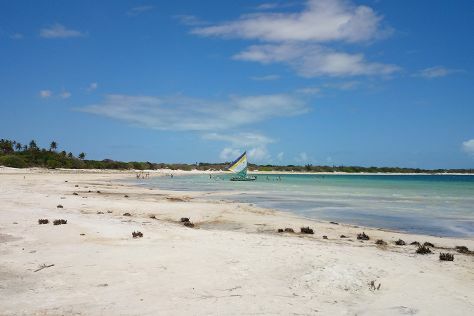 You'll get in some beach time at Mangue Seco Beach and Jericoacoara Beach. Get outdoors at Malhada Beach and Pedra Furada. The adventure continues: explore the striking landscape at Duna do Por do Sol. For reviews, maps, and more tourist information, read our Jericoacoara route planner . Getting from Fortaleza to Jericoacoara by shuttle takes about 4 hours. Other options: drive; or do a combination of bus and taxi. Due to the time zone difference, you'll gain 1 hour traveling from Fortaleza to Jericoacoara. Wrap up your sightseeing by early afternoon on the 8th (Sat) to allow time for travel back home.